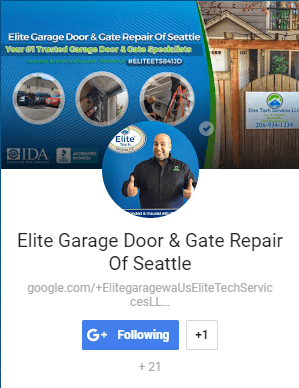 At Elite Garage Door Cable Repair, our customers can really appreciate the extra-fast repair response time – not to mention our 24/7 availability (that also includes holidays). We can provide you with stainless steel wire cables that will match your needs, according to your door’s exposure to the local weather conditions (for example: excessive rain). 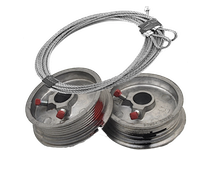 Our cable assemblies are designed to give you rust-proof dependability, which is critical when it comes to the Seattle (and surrounding areas) rainfall. Our family-owned Garage Door Cable Repair service has been in business for a number of years and is also known for its affordable pricing. We are known for our excellent service to both residential and to commercial customers. As such, we take our work very seriously, since a garage door entryway can be one of the most important security locations in your building, whether it’s a home or company building. Consider the dangers that are present when your garage door is unable to close properly and the inconvenience when you can’t open your garage door correctly. Problems can include both theft and personal safety. 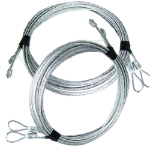 Our Garage Door Cable Cost is competitive and our level of service is considered the best in the business. We carry every length of cable that may be needed in order to save you time and for maximum convenience. Our technicians carry a complete selection of garage door parts that will allow them to do your repair in the shortest amount of time possible. We are also licensed and insured and we are pleased to offer a 100% guarantee on any work that we do. While some folks may be considering doing a garage door cable repair themselves, they need to know that garage door cables are under a great deal of tension and can be very dangerous to fix. Trying to save a few dollars, by doing a repair/replacement yourself, is considered both hazardous and a waste of time. You need to have a specialist, since these cables need to be installed to the exact specifications of your particular garage door. Just call us at 1.206.934.1234, and we’ll be there to help you (with our 45 minute response time) in any Seattle or surrounding area location. We’re here 24/7! How Important is it to Control Climate in the Garage Door?